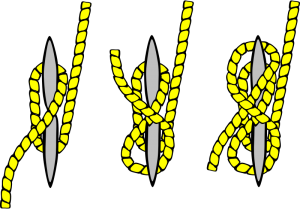 Sailing boats seem to have lots of different bits of rope, all with different jobs to do, and where ropes are involved then so are knots. Here are some of the most useful ones for sailors. 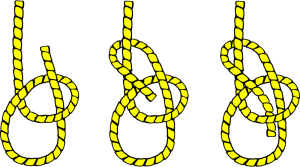 A figure of eight knot is a useful knot to tie in the end of a sheet (rope attached to control a sail when you are sailing) to stop it slipping through any blocks or pulleys. 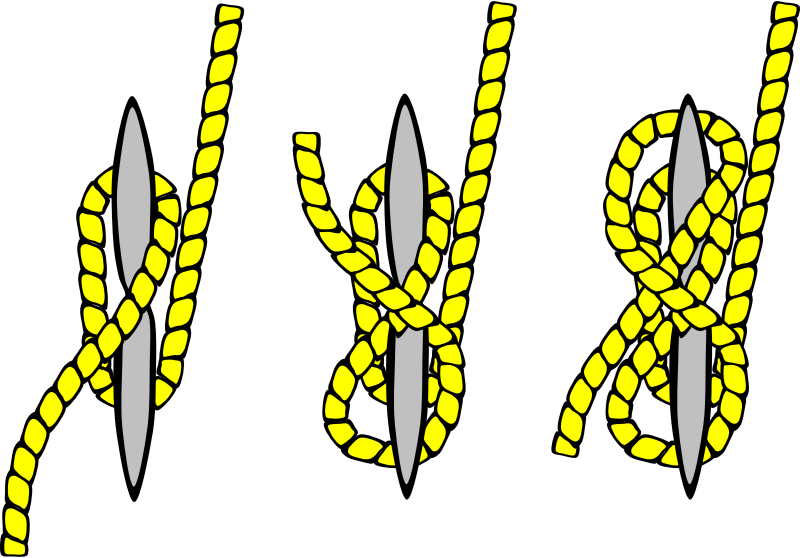 We often cleat a halyard (a rope used to pull a sail up a mast, ready to sail). 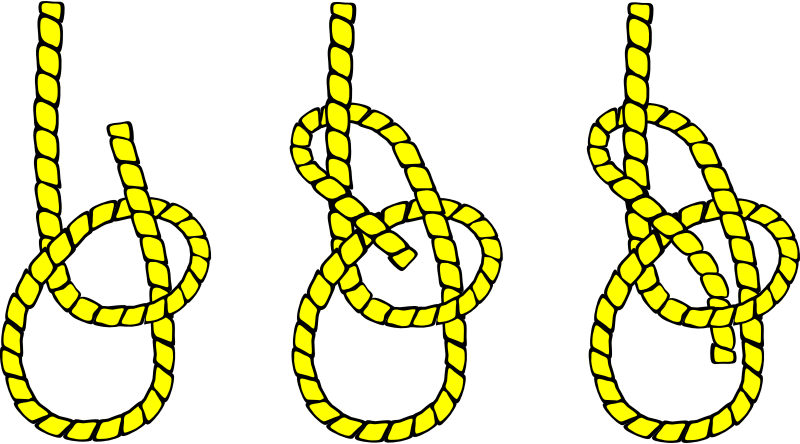 This is not strictly a knot, but very useful to attach the halyard securely to the mast. Don’t forget the final step which is to make a loop, twist it over and tighten it over the top of the cleat so that the free end is trapped. 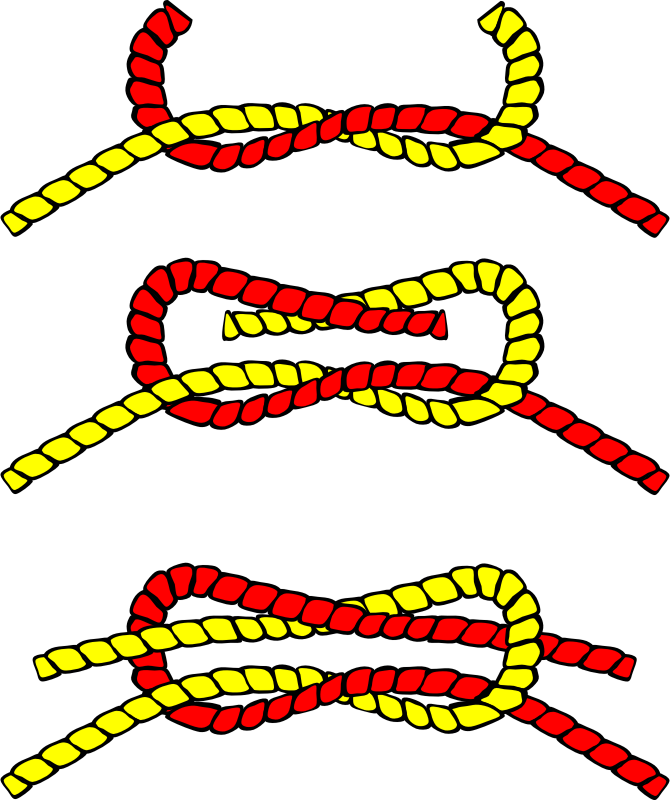 A simple knot for tying two ropes together that are the same size. I remember it from the phrase “right over left then under, left over right then under” but you may have a better method! 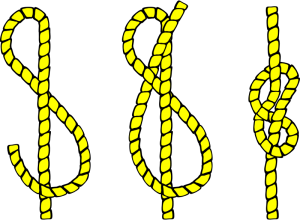 A very useful knot commonly used to attach a rope to a sail through an eyelet. Its a bit tricky to do (have a look on YouTube for some videos) but its so useful its worth the practise. Another very useful one for tying off all sorts of ropes. We often use this one to tie the boats to a strong point on the beach so they don’t float away on a high tide. I also use it to tie off the loose ends on my trapeze harness.